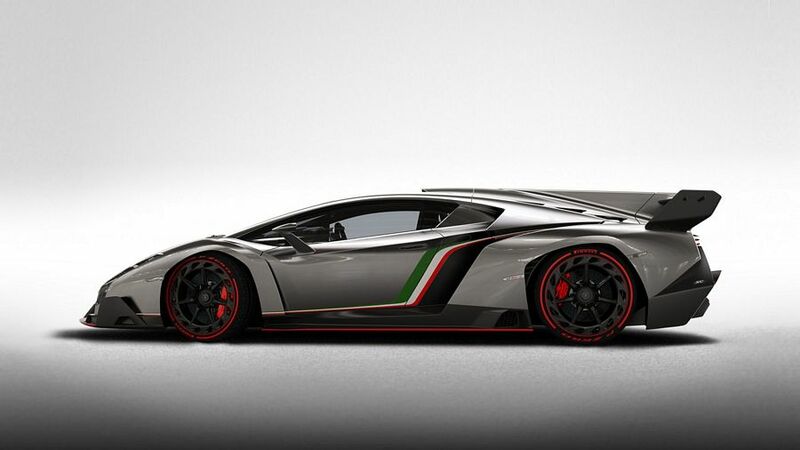 Additional Info: To celebrate 50 years of Lamborghini, this very exclusive 3 million euro Aventador based Lamborghini Veneno has been produced, with only 3 in total to be built (one of each in green, white and red), while the Grey display one is destined for the Lamborghini Museum. 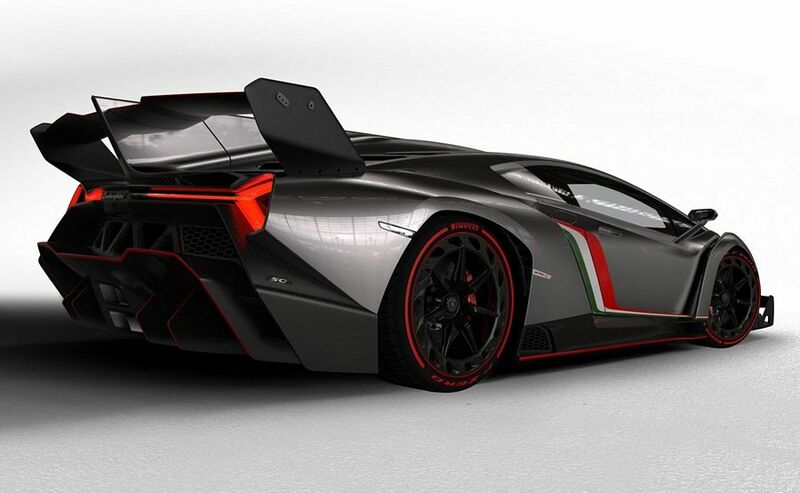 The Veneno name comes from a legendary fighting bull. 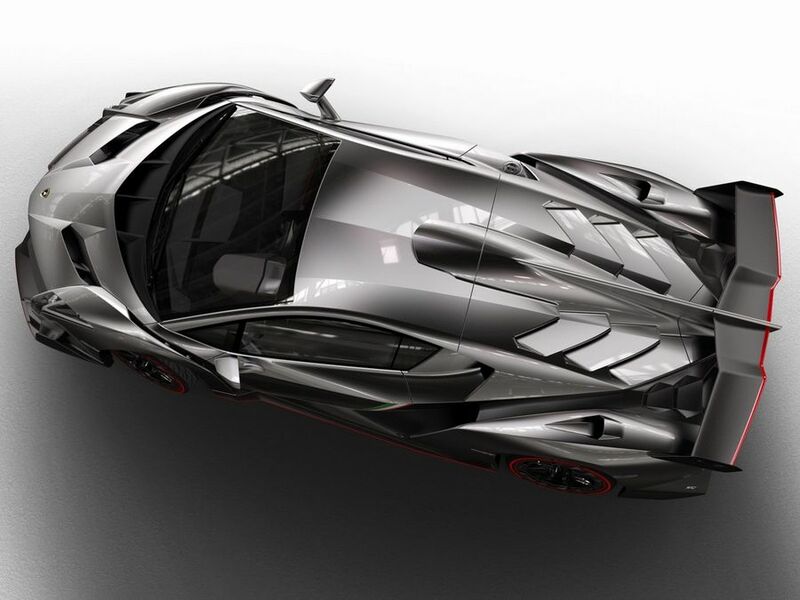 Shown at the 2013 Geneva Motor Show, it features an extremely fast-shifting 7-speed ISR transmission with 5 driving modes and permanent AWD, as well as a racing chassis with pushrod suspension and horizontal spring/damper units. 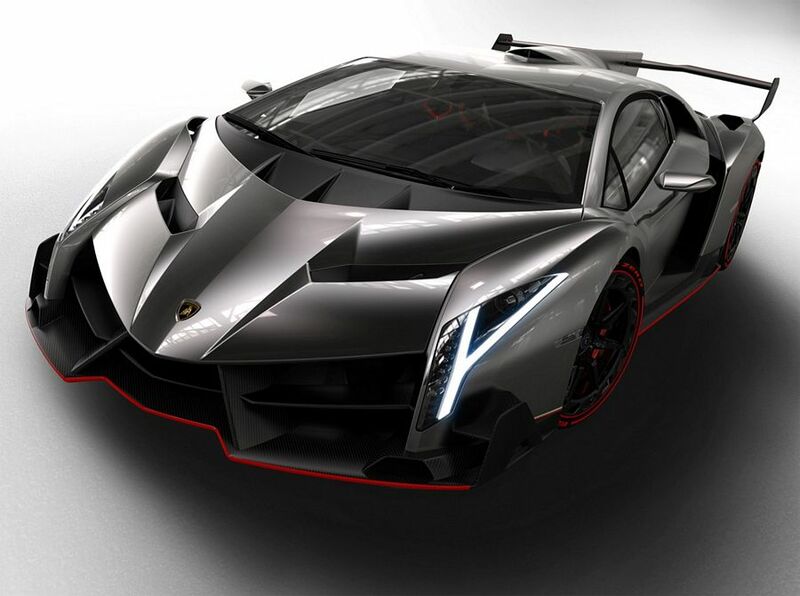 Much use of carbon-fiber reinforced polymer and forged composite materials have been used. 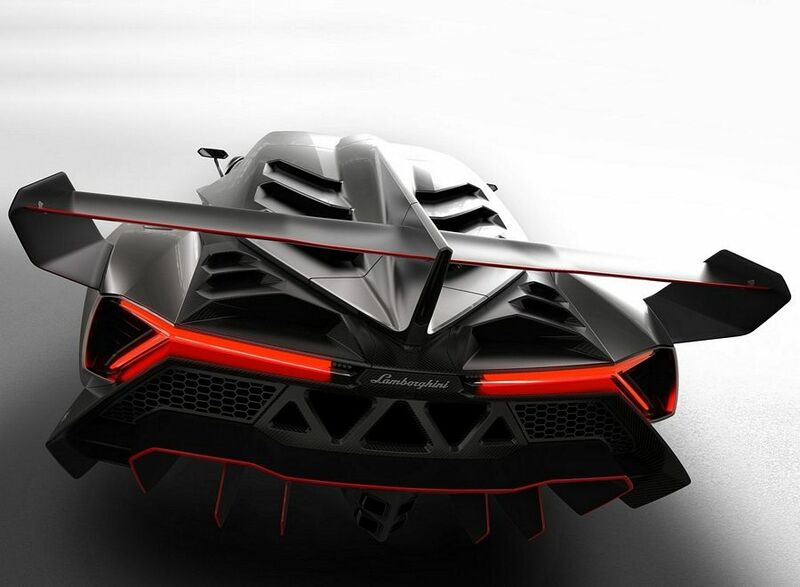 The design brings the aerodynamic efficiency of a racing prototype to the road, with perfect airflow and downforce, giving high speed cornering stability.